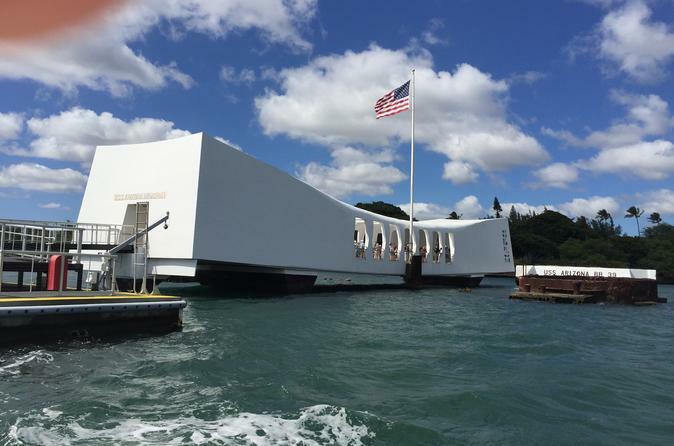 A skip-the-line admission ticket to the USS ‘Arizona’ Memorial at Pearl Harbor grants you access to one of Hawaii’s most popular destinations. Combine your visit with a driving tour around the island’s North Shore and you’ll have an overview of Oahu highlights all in one day, including lunch. Round-trip transport by luxury van is provided from the Kahala Resort, Waikiki hotels, the Honolulu cruise port, or the airport. After fast-track entry and an audio tour, continue on with an Oahu island driving tour. Traveling around the North Shore with your guide, you’re treated to epic views from Ka’ena Point and Kahuku Point. See Waimea Bay and Oahu’s premier surf beaches before you’re transported back to your starting point.